When I encourage others to add adventure to their lives, whether through my books, presentations, or posts like this, I many times get push back. The excuses are varied from not enough money or time to work obligations. I refute the myriad of excuses by sharing ways that adventures can be very close to home, economical, and eye-opening. Recently, I took my own advice. I used a visit from a peer travel blogger from the U.K., The Barefoot Backpacker, as a way to live like a tourist in South Florida. Armed with our cameras, phones, plenty of water, and sunscreen, we were off for a thirty-six hour Fort Lauderdale marathon adventure. The first thing we did in Fort Lauderdale was hop a ride on the Water Taxi. With the nickname of the Venice of the Americas, we had to take a boat ride through Fort Lauderdale’s canals. 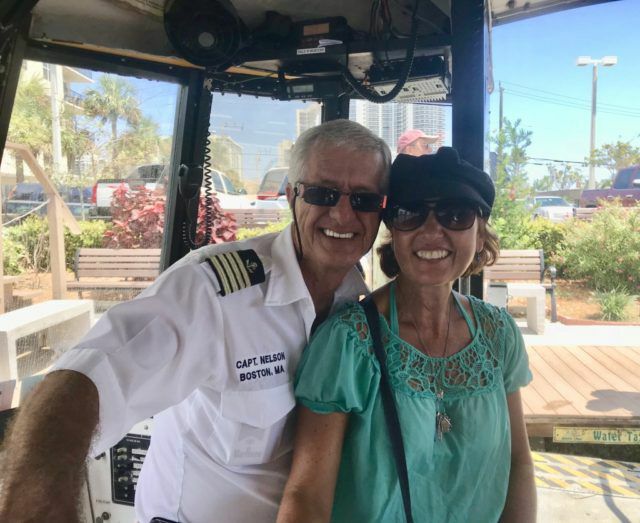 With different routes through Fort Lauderdale as well as to Hollywood, we cruised from the New River along Las Olas Boulevard to Fort Lauderdale Beach, spotting mansions and yachts of the super elite. However, no good boat ride is without a wildlife sighting. On numerous occasions, we marveled at the iguanas sunning themselves on the banks of the canals and bridges. In fact, the captain of our Water Taxi (pictured below) stopped under the Sunrise bridge to offer a few of the iguanas hibiscus flowers, which is a tasty treat for them. For a very economic $28 per day, you can get on and off all day long. In fact, the Water Taxi does have a happy hour rate ($18 after 5 pm) with some of its boats having a bar to sip and ride for a real happy hour. If you have the time, I would highly suggest exploring Fort Lauderdale’s routes as well as taking a ride past Port Everglades to Hollywood. 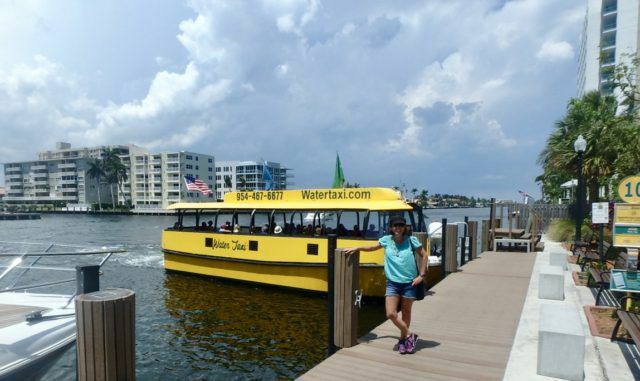 To view the Water Taxi’s schedule, routes, and events, click here. When in South Florida, you MUST explore one of our natural wonders, the Everglades. Many think that the Everglades is a big swamp, but let me debunk that common myth. The Everglades is a moving river of fresh water providing a habitat for over two hundred species of fish, over three hundred species of birds, many snakes, including six that are poisonous, and countless insects. However, it would be a sin to not mention the star and keystone of the ecosystem. Yes, the American Alligator is the top of the food chain in the Everglades with a total of over 1.2 million gators in all of Florida. 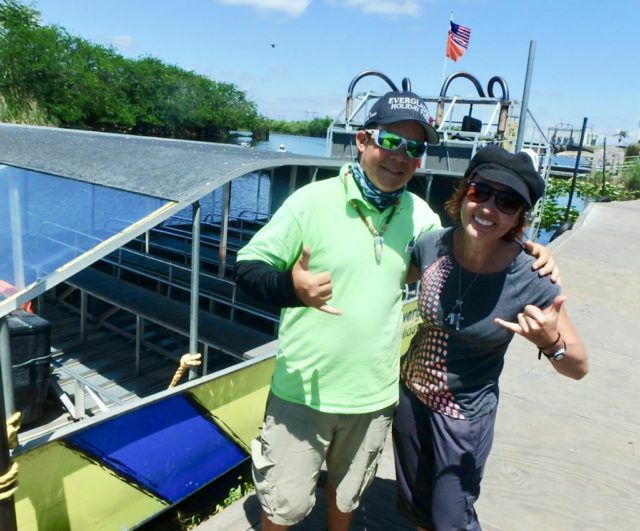 There are many ways to adventure in the Everglades whether via kayak, canoe, fishing boat, airboat, or on foot. 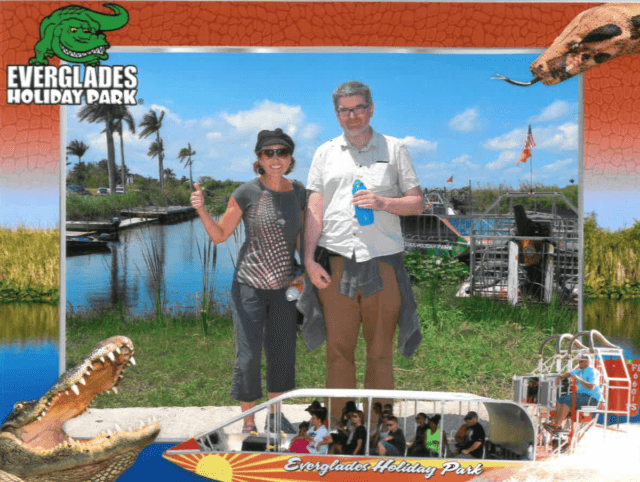 Although I’ve done a bit of it all, having a friend in town was a good excuse to take an airboat ride again through the Everglades for some alligator spotting. Our captain, Baby Face, made my repeat ride one to remember. His wealth of knowledge about birds, fish, plants, and gators mixed in with some good, backcountry humor made the time fly. 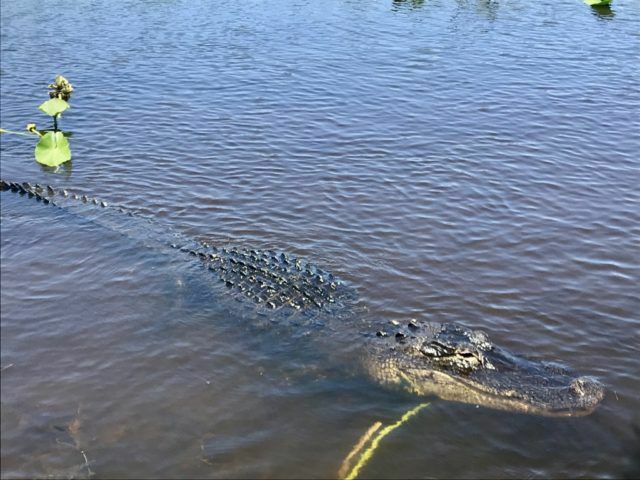 If you are in the Fort Lauderdale, Florida area, get yourself on an airboat tour (less than $35 per person), spot your own gator, and stay around for the Gator Boys show and/or Animal Encounters. 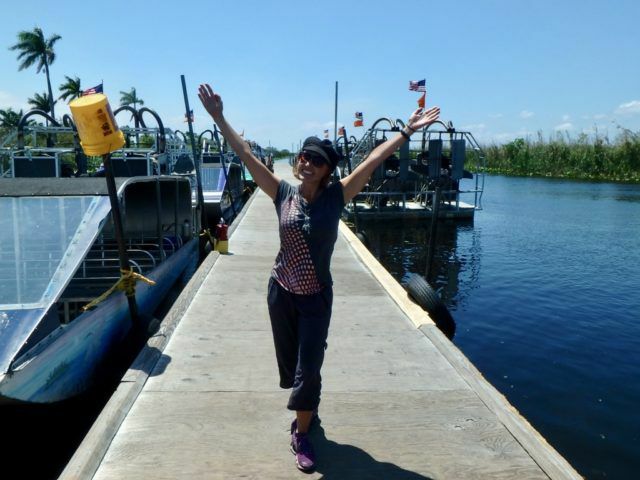 To watch an action-filled video and get more info about Everglades Holiday Park, click here. I’m embarrassed to say this, but it took having a visitor in town from thousands of miles away to get me to drive the five miles to experience the wonderful botanical gardens and wildlife sanctuary of Flamingo Gardens. Little did I know that right in my own neighborhood were over sixty acres of botanical gardens featuring tropical, subtropical, and exotic plants and fruits. 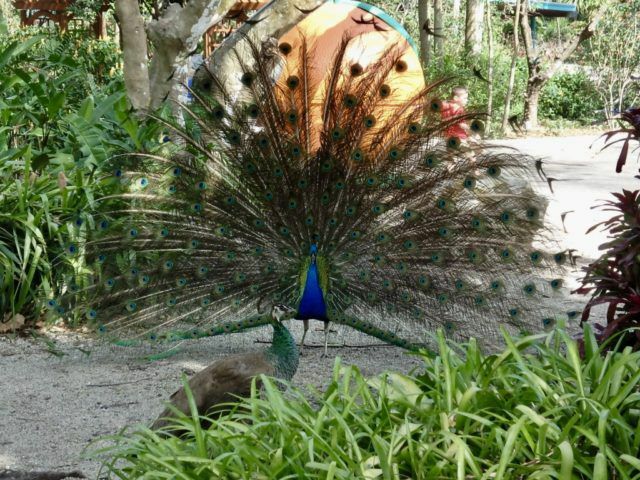 Plus, with over ninety native birds and species, including peacocks, panthers, eagles, gators, and of course the flamingo, it’s a real treat for any animal lovers and all ages ($19.95 adults and $12.95 kids 3-11 years old). Although you can choose to walk the exhibits, visit the Wray Home Museum, which the oldest home (1933) in Broward County west of University Drive, and enjoy its nature show(s), I would highly recommend not leaving until you’ve taken the narrated tram tour. 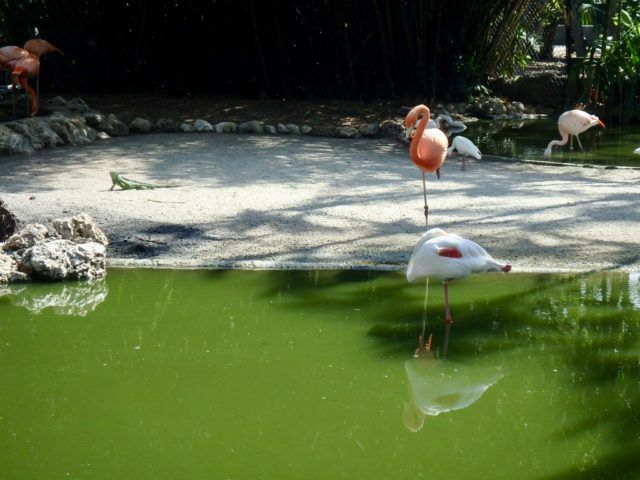 If you would like to see more eye-candy to entice you to visit Flamingo Gardens, check out their Instagram. 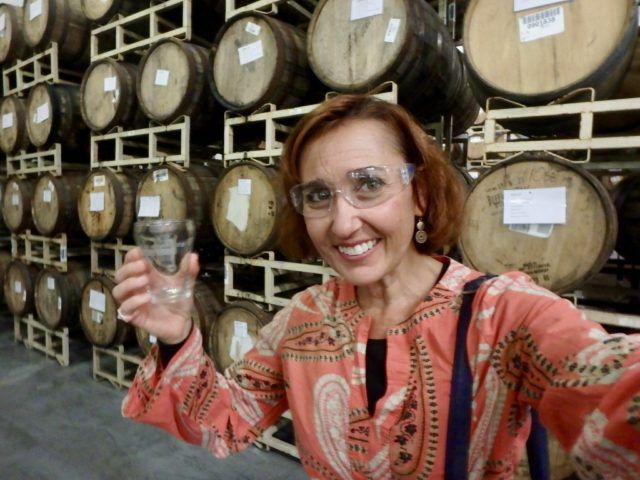 Knowing that Barefoot Backpacker was a beer enthusiast and that my Wisconsin roots call for a good, cold brewski now and again, we pressed pause to refuel at Funky Buddha Brewery for a tour and a couple pints. Known for very racy labels and creative beer names, Funky Buddha also surprises the palate. I was wowed by all four of the unique brews I tried. I started with No Crusts, which is a brown ale that takes you back to childhood and your lunch of PB&Js. I stayed in my childhood with my second taste of Nib Smuggler, which is a chocolate milk porter. Yummy, perfect to wash down my peanut butter and jelly! For my third taste, I ventured out on the tropical side with Huki Idol, which is an India Pale Ale with passion fruit and lime. Honestly, I felt like I was enjoying a cocktail more than a beer. Definitely, I will repeat. As a finale, both of us had the award-winning Maple Coffee Bacon Porter. It has succeeded in bringing its drinkers a diner-style breakfast in a glass. Bravo Funky Buddha for making excellent beer! 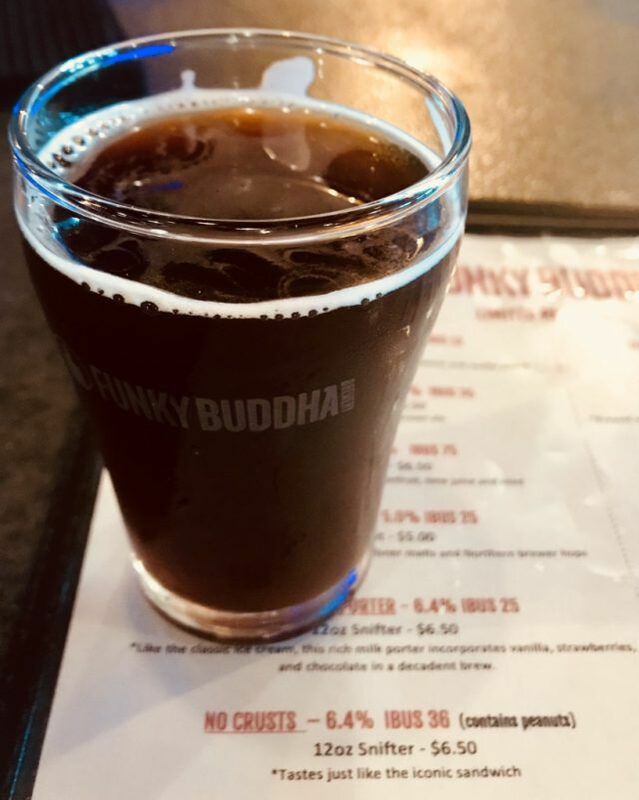 If you are interested in touring the Funky Buddha Brewery, tours are held on the weekends in the afternoons for $8 per person. You can learn more about events, new beers, its restaurant, and more here. With summer upon us, take advantage of visiting local sights, doing something you have always wanted to but haven’t, and supporting local businesses. The benefit of living like a tourist is a new perspective. Your experience gives you a new lens to see your environment and your own life differently. I encourage you to follow in my footsteps. Go out and adventure in your neighborhood this summer. If it is in South Florida, check out my Four Fabulous Fort Lauderdale Florida Adventures. If you aren’t in South Florida, well it’s about time that you plan a visit. When you do, make sure to drop me a line.